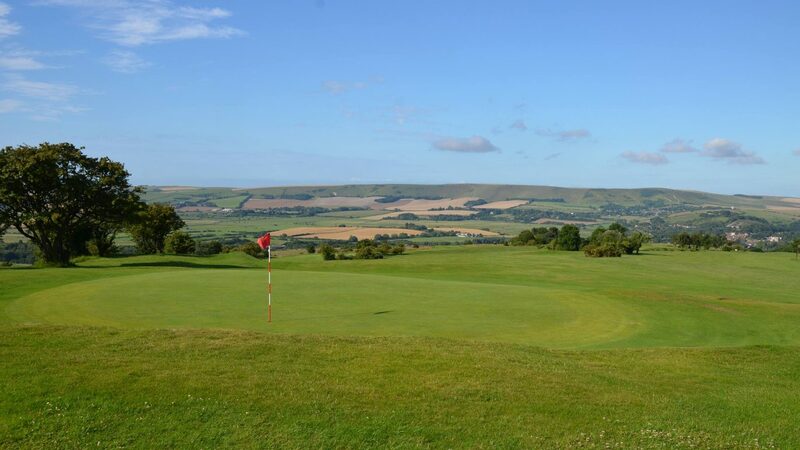 Listed in Fine Golfs finest 200 running-golf course in Great Britain and Ireland and voted 6th best course in Sussex you are assured of gorgeous scenery and top class golf when you play at Lewes Golf Club. Founded in 1896 on top of chalk hills in the heart of Sussex, the elevated course winds it’s way through rolling south coast countryside, with picturesque views of the South Downs and the historic town from which it gets its name. On a clear day it is possible to pick out landmarks in the Sussex Weald and as far as the North Downs. This downland course is very much a traditional test, and, as it is built on free draining soil it is playable throughout the year without the need for temporary greens or tees. The challenge presented by the par 71, 6,253 yard course is enhanced by undulating fairways and greens and of course the elements. The Clubhouse is very welcoming with fabulous views over the gorgeous Sussex countryside and on a lovely day the terrace is just this side of heaven! We offer all amenities:- well-appointed changing rooms, fully stocked bar, quality home cooked catering, well equipped pro shop with buggies and trollies for hire and full practice facilities Lewes Golf Club can offer a bespoke package for societies – so whatever your requirements give us a ring, we will do our very best to accommodate you. April – October 2018 18 Holes £25, 36 Holes £40, Weekend 18 Holes £30. November 2017 – March 2018 18 Holes Weekdays £22.50, Weekend £27.50. From the A27, east and the west, take the roundabout signposted A26 Lewes/East Grinstead/Tunbridge Wells, drive through the tunnel, at the next roundabout turn left and, left again at the next roundabout. From the North (A26) take the second exit at the Cuilfail Tunnel roundabout, at the next roundabout turn left again. There are signs to the course from this point. Take the second turning left, into Chapel Hill, by the kitchen showroom, continue up the road, the club is at the top. Contact the club for up to date prices. Visitors have access to a five-bay driving range and practice greens for chipping and putting.